A leak relating to Discovery’s RCS (Reaction Control System) Helium Isolation Value – on the Right Hand (RH) OMS (Orbital Maneuvering System) fuel system – is undergoing troubleshooting at Pad 39A. Due to redundancy, flight rationale may be accepted to fly STS-131 “as-is” – should blowdown procedures fail to correct the issue – otherwise rollback and a long delay would occur due to the need to remove the OMS Pod to access the valve. Discovery was enjoying a relatively uneventful processing flow at the pad, as she continued to track a record low amount of Interim Problem Reports (IPRs). However, some issues started to appear during hypergolic loading operations (S0024). 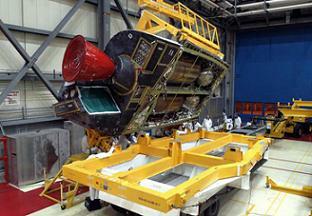 “OV-103 / ET-135 / SRB BI-142 / RSRM 110 (Pad A): S0024 Hypergolic Propellant Servicing is in-work. SRB (Solid Rocket Booster) HPU (Hydraulic Power Unit) hydrazine rock system was loaded,” noted end of week processing information from the NASA Test Director (NTD), via L2. “Severe weather inhibited loading the tilt systems. Finish loading the tilt system in parallel with orbiter APU (Auxiliary Power Unit) load. “New IPR 0030: Visible hydrazine leak detected on a boss fitting associated with the GSE (Ground Support Equipment) side of the ‘orange’ fill QD (Quick Disconnect) feeding the RH (Right Hand) rock side. The system was vented and test team concurrence was given to re-torque the fitting. 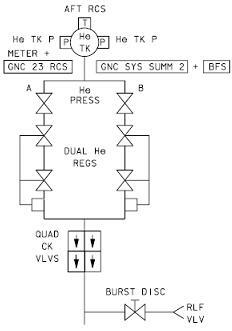 Two additional issues were noted on the Friday report, listing a number of OMS/RCS related problems – and solutions – as engineers worked on the QDs after troubleshooting the connections. “New IPR 0031 to OMS/RCS: (QD) does not mate. This problem was resolved. All QDs were matted and leak checked on third shift,” added the report, before noting one QD was found to be leaking. This required the replacement of a leaking flex hose to resolve. It has not yet been confirmed if the above issue has contributed to what was listed as IPR 0033 “Leak: RCS Helium Iso Valve on the right pod for the fuel system” – meaning the valve is stuck in the open position. 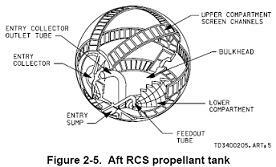 The correct flow of helium is essential for providing the proper flow path of oxidizer from the propellant tanks into the combustion chamber of the thrusters, allowing them to carry out their function of aiding the orbiter’s maneuvering on orbit. This issue – observed on Friday evening – is serious, due to the potential requirement to remove the RH OMS Pod from Discovery to access and repair the valve, a procedure that can’t be carried out at the pad. Should managers decide to repair the valve, Discovery would be rolled back to the Vehicle Assembly Building (VAB), demated from her External Tank (ET-135), returned to her Orbiter Processing Facility (OPF), where engineers would demate and remove the entire OMS Pod. However, such a decision, which would delay STS-131 – and Discovery’s follow-on mission, STS-133 – by several months, won’t be taken until next week at the earliest, as managers evaluate their forward options. The first relates to troubleshooting via what is known as a “blowdown” procedure, which would be used to flow helium through the system for a period of time and cycle the Helium valves to purge any contaminants that may be causing the valve to remain in the open position. This procedure is available for related issues on orbit, and sources note a similar ground procedure exists for the purpose of troubleshooting. The second option available is to fly “as is” via flight rationale. This is a possibility due to redundancy in the system, although a waiver would be required to allow for the MEL (Minimum Equipment List) portion of the LCC (Launch Commit Criteria). According to the complete STS-1 to STS-130 In Flight Anomaly list presentations (L2) – an issue with one of the two valves in this system has only occurred three times on orbit, none of which have been in recent years. On each occasion, the redundancy in the system allowed the orbiter to complete a nominal mission. With managers set to begin meetings on Monday on the forward path, pad processing is continuing for the interim – although at least a one day delay has been called for on the milestone of payload delivery to the pad. Currently, troubleshooting operations have delayed RSS retract to NET (No Earlier Than) Tuesday, delaying STS-131’s payload delivery to 39A until NET Wednesday.